The fluttering of your heart is not always the sign of love, nor is skipping of a beat. The fluttering could be a sign that you need to pay attention to your heart. So what if your health parameters are more or less fine, but your heart is not beating right, it is reason enough to see a doctor. Arrhythmias, which in other words could be called irregular heartbeats, fluttering, palpitations, and so on, can cause sudden cardiac arrest. Unfortunately, in India, we do not have a national registry for cardiac deaths, so it is difficult to predict the number of people dying due to sudden cardiac deaths (SCDs). But a look at the macro factors proves that Indians are on the brink of a cardiac emergency. An India Spend research in 2016 revealed that cardiovascular diseases (CVDs) kill 17 lakh Indians annually. The Global Burden of Disease study estimates 24.8% of deaths in the country are due to CVDs. In the given context, arrhythmias or palpitations stand their own ground as a reasonable threat to your heart and life. What is an abnormal beating of the heart? Our hearts beat regularly and all the time while we are alive. They keep on pumping blood, and even when we are suffering a heart attack, the pumping of blood does not stop. Our hearts continue to work until the very end. A normal rhythm of heartbeats is around 60 to 100 beats per minute when the body is at rest. When a person exerts himself through extra physical work, is under the effect of some emotional or psychological stimulus or is unwell, the beating of heart will vary. But arrhythmia is a lot different. It is the change in the normal pattern of heart beats, which is triggered by any change in the sequence of electric impulses that your heart receives. The functioning of our heart depends on the electric activities, which create the necessary impulses, causing the heart to beat and pump blood. Frequent irregularities in triggering normal electric impulses lead to cardiac arrhythmia. Multiple factors may lead to the condition, including prevailing cardiac disease, obesity, electrolyte imbalance in the blood, among others. Even irregular heart rhythms have been diagnosed in supposedly normal healthy hearts. There are around a dozen identifiable types of cardiac arrhythmias, which trigger various sensations in the heart. However, some of the dangerous rhythms include when a person is suffering from slow (bradycardia) and fast heartbeat (tachycardia), fluttering (fibrillation), skipped heartbeats, or premature contraction. When the heart isn't functioning properly for a prolonged period of time, it gives rise to a situation that may lead to a sudden cardiac arrest, which is different from a heart attack. Sudden cardiac arrest means that heart has suddenly stopped functioning due to an irregularity of electric impulses, while a person's heart continues to function when suffering a heart attack, which is caused by the inability for the heart muscles to pump blood. Sudden cardiac arrest leads to almost instantaneous death. A person who is suffering from cardiac arrhythmia for a long time is at increasing risk of cardiac arrest, as the electric system of the person is not functioning properly. Some of the common symptoms of various forms of irregular heartbeats include breathlessness, dizziness, fluttering in the chest or irregular heartbeats even in normal circumstances. Other symptoms include chest pain, palpitations, sweating, and confusion. If the symptoms are recognised, the patient should be taken to a cardiac specialist. A proper check-up by a cardiac electrophysiologist will help determine the intensity of arrhythmia. 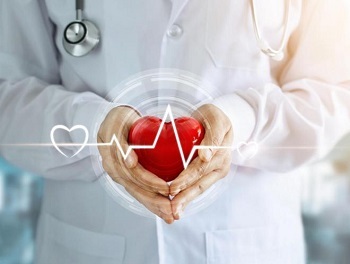 With proper medications, increased physical activity, certain dietary changes, periodic monitoring of the pulse, and by managing the risk factors, a person can continue to live with a normal healthy heart. Have you ever wondered what it means when someone has a cardiac arrest or a heart attack? We often hear that somebody died due to the heart attack or a cardiac arrest. In fact, these two terms are used interchangeably, even by doctors. However, the fact is that these two conditions are distinctively different from each other in terms of risk factors, treatment options, and outcomes. The heart is a muscle, and like all muscles, it requires an oxygen-rich blood supply. This is provided by coronary arteries. A heart attack occurs when there is a blockage of the coronary arteries. This is often caused because of a blood clot. This kind of blockage, if not resolved quickly, can kill parts of the heart muscle. A cardiac arrest is different to a heart attack. In case of a cardiac arrest, the heart actually stops beating; whereas, in a heart attack, it normally continues beating even though the blood supply to the heart is disrupted. In a cardiac arrest, as the heart stops beating, people stop breathing and the pulse of the patient is not found. Whereas, the symptoms of heart attack include chest pain, shortening of breath, coughing, wheezing, dizziness, sweating, weakness, anxiety, palpitation etc. The early signs of cardiac arrest also include chest pain, shortness of breath, weakness, dizziness, palpitation etc. With the change in lifestyle habits, the risk factors for heart ailments have also undergone a change over the period of time. Smokers, diabetics, obese individuals, people suffering from high blood pressure, leading sedentary lifestyles and those with a family history of heart diseases, are highly vulnerable to the heart attack. People who live in localities that witness high levels of pollution are also more prone to heart attacks. People with abnormal heart rhythm, where the lower chamber of heart beats irregularly, are highly vulnerable to the cardiac arrest. Pacemaker failure, respiratory arrest, choking, drowning, electrocution, hypothermia, a dramatic drop in blood pressure, drug abuse, excessive alcohol consumption are other reasons for a cardiac arrest. The first line of treatment for a cardiac arrest is to begin immediate cardiopulmonary resuscitation (CPR) to support the victim's circulation, and, as soon as possible, to deliver a large electrical shock to the heart with a device called a "defibrillator." The large shock allows the heart's electrical signal to reorganise itself, and the heart starts beating again. Heart attacks are treated by restoring blood flow through the blood vessels connected to the heart. The two main treatments are clot-busting medicines and percutaneous coronary intervention, also known as coronary angioplasty, a procedure used to open blocked coronary arteries.